Okay, some of you are already holding your sides because you are laughing so hard. You may be laughing because you are asking, “STUDIO Time? WHAT studio time? !” OR you know me well-enough to be laughing at my audacity in thinking I have any idea how to discuss this, given my own struggle with this very issue. Well, fasten your seat belts with your seat backs upright and your tray tables stowed because this could be a bumpy ride! 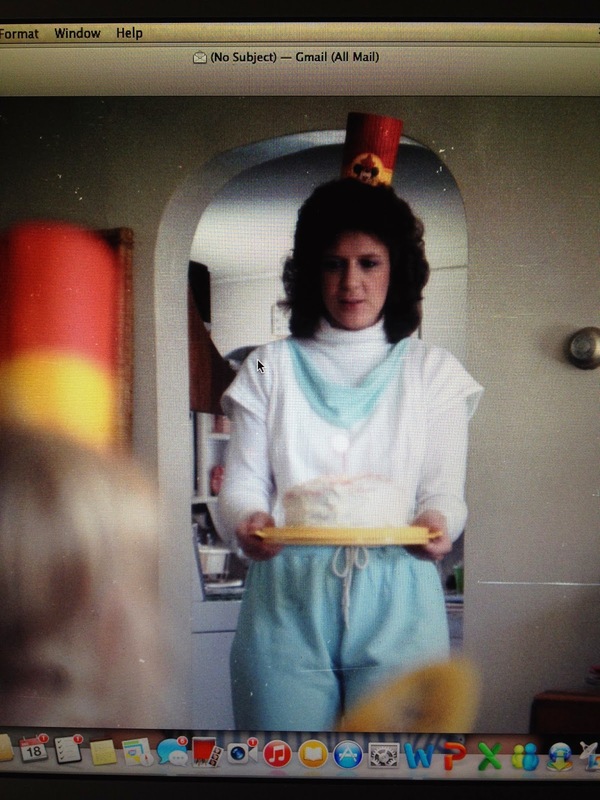 To begin, I am going to time-travel backward about 30 years to the time when I was a young mother. 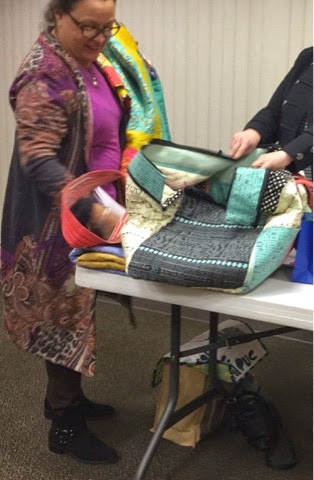 I was working full time as an RN in Labor and Delivery, and teaching part-time as a childbirth instructor. Married, with two young children born 17-months apart. Studio time? Honey, it was non-existent. 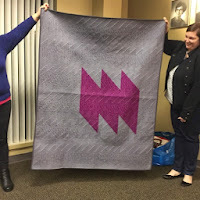 Okay, I take that back: I did have a bit of a quilt life, but it was squeezed into a once per month block of the month club class that I took for my own sanity and those late night sessions (rare!) when I needed to gear down after a stressful shift at the hospital. 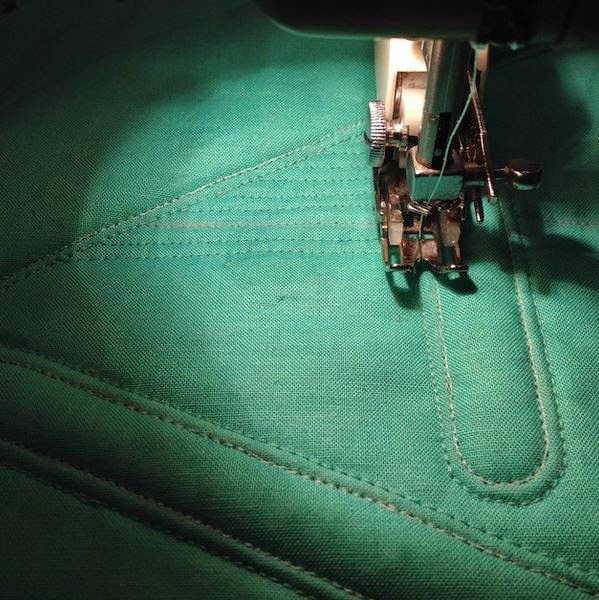 I would sit at my tiny dining room table during the wee-hours of the morning after my evening shift and hand-stitch my constructions. In those days I did almost everything by hand (insert an image of me smacking myself on the forehead here!). 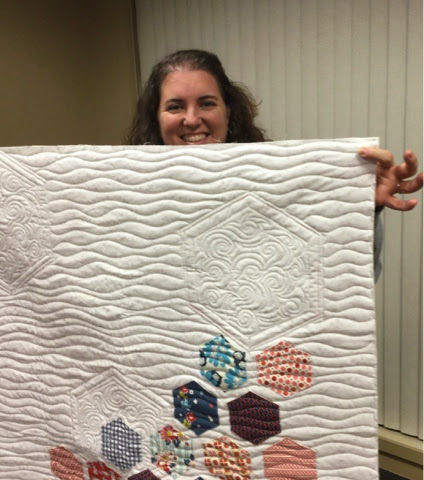 I was occasionally frustrated by my lack of productivity in the quilt realm, but the truth was I was so busy and overwhelmed by my new reality as a mother that I didn’t have much time to focus on it. I wasn’t making small work at that time. 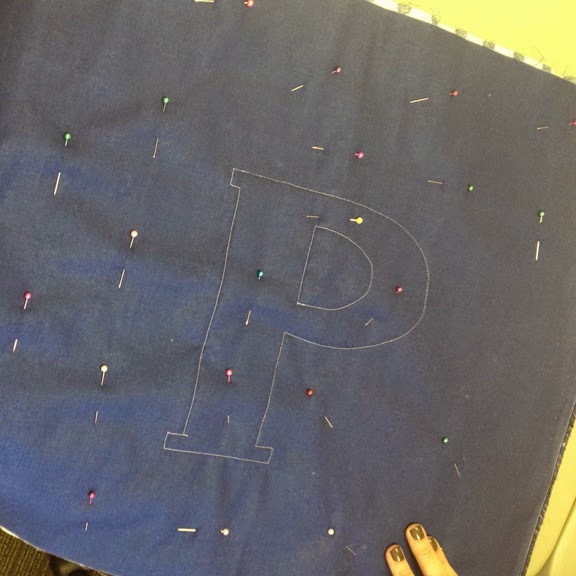 I think my frustration level would have been lessened somewhat if I had chosen smaller, more attainable projects that could give me a sense of successful completion. 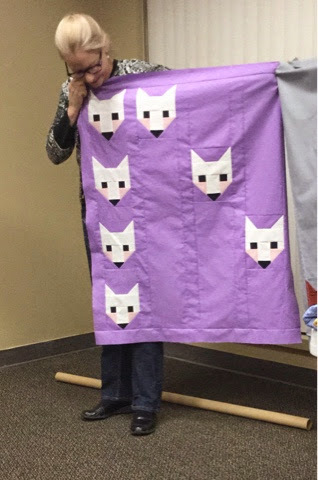 I was making large quilts, or trying to. Why wasn't I working smaller then? So, there were a lot of years of low-productivity. We moved, and even though my children grew up (whether I wanted them to or not) and left home to pursue college and start their own lives, my first six years in Texas were spent commuting back and forth to Kansas caring for my sister and mother, who passed away in 2001 & 2003 respectively. Eventually a window of time appeared. I began to produce more work, get into shows, and even win a few awards here and there. 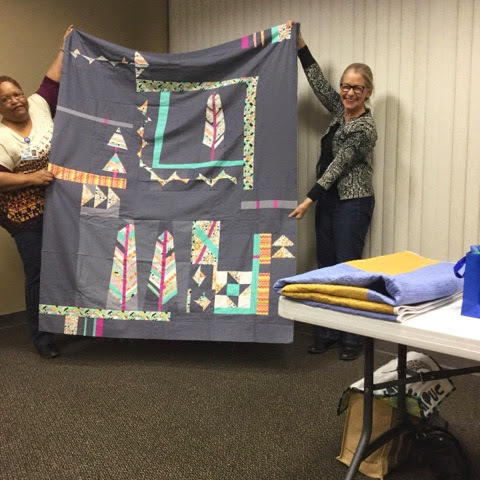 I learned how to play with surface design (dyeing and screen printing my own designs on cloth) which I regard as one of the best things about moving to Texas (there are many other things!). I started getting requests to write some articles, blog posts, become involved in an organization by serving on the national board of directors. I got really stinking busy again! Somehow, I seemed to be managing these new responsibilities and I certainly enjoy them all. Then, last year, another event came to the surface involving my husband that suddenly created twice as much travel and time away from home. It was a wonderful event and I enjoyed every single moment of participating in it, but wowza did my studio time take a hit. 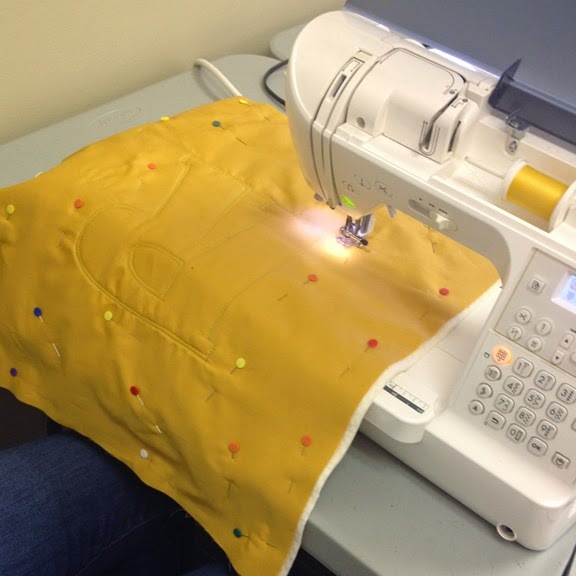 I’m not just talking about the time I sit in front of my sewing machine or stand at my print table. I’m also talking about that time that, on the surface of things, doesn’t look productive but is: that time to dream, to sketch, to simply sit and ruminate about a project and where you want to take it. That creative juice, or flow. THAT is where I seemed to get myself into trouble. 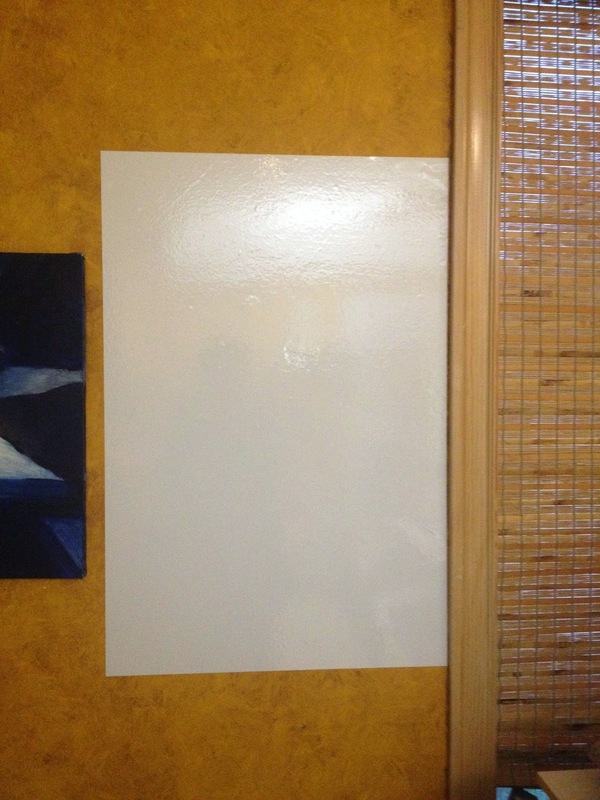 With studio time at a premium I found myself so rushed to “get something done” that I would enter the environment already creatively “blocked”. Stuck. Nothing. As deadlines began to appear over the horizon and move closer….closer….CLOSER I felt something close to internal panic. I really needed to sort myself out. How could I manage to juggle all these things, which admittedly were exceptional this year, but still….? I needed to identify a system that would keep better track of my deadlines, for one thing. I think I need a white board! My system of keeping things on my iphone calendar with an alarm doesn’t seem to be as effective now as it was when I was managing only a couple things in the studio. I need to see it. Often! And what is more satisfying than crossing something off that list? 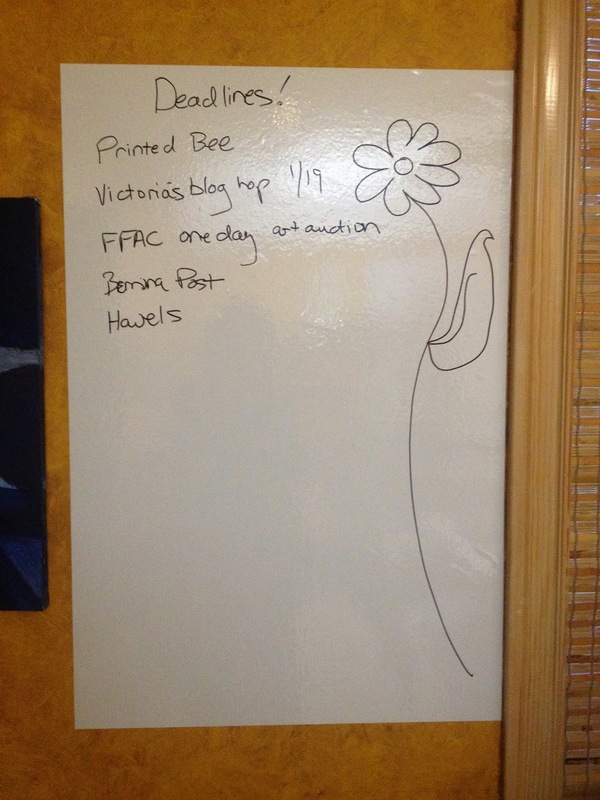 If not a white board, then a big flip chart that I can write on and prioritize items and deadlines. clings to the wall and is (supposedly) harmless to the surface. 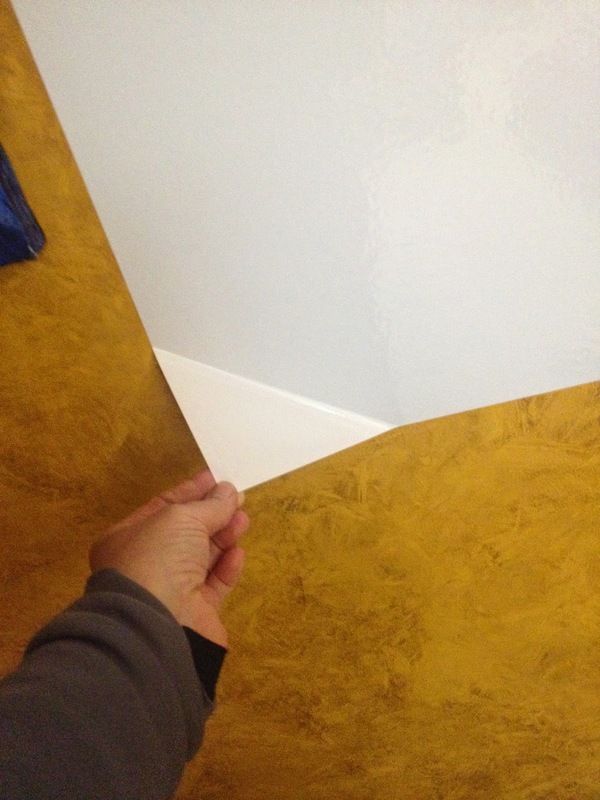 Here is what it looks like going on the wall. Not gorgeous, but it is a solution to a problem! I need to find more time. Huh? Don’t we all have the same amount of time in every day? Yes, but what if a significant part of your schedule involves travel? There is a lot of down time sitting in airports, airplanes, trains, etc. Use it more wisely. Carry a sketchbook. Don’t groan yet (I can hear you!). 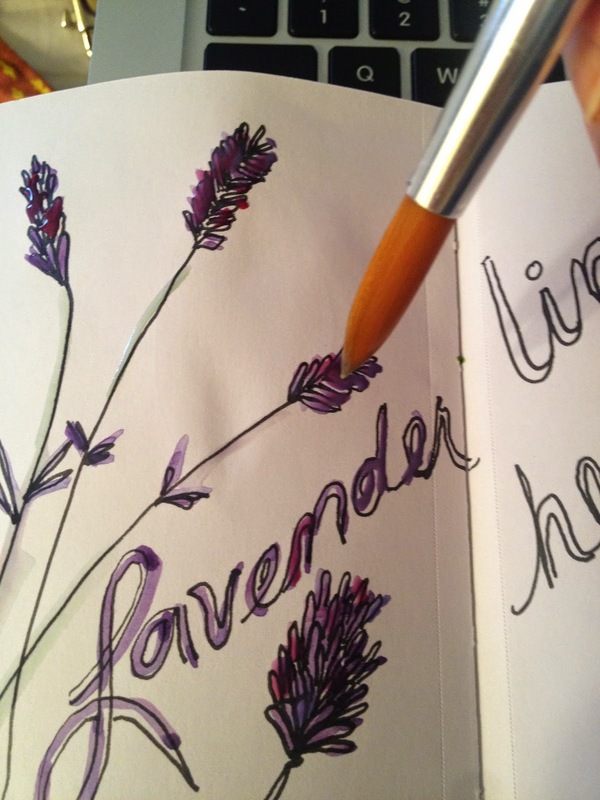 Yes, the sketchbook is for sketching, but so much more: it can be a place of creative management. I do a great deal of doodling in an actual paper sketchbook (see above): either a small moleskin with small windows on each page or a 5x7 moleskin. Both tuck nicely into my travel purse or backpack. I do a lot of creative work on the plane. It is a time to gather my thoughts about a particular project or idea. Sometimes, I put earphones in, even if I am not listening to music or an audiobook, just so my seatmates won’t be inclined to chat me up. Don’t get me wrong: I still listen to music and sometimes chat, but I find that I get back some of my creative energy when I doodle, sketch ideas, or simply write them down. 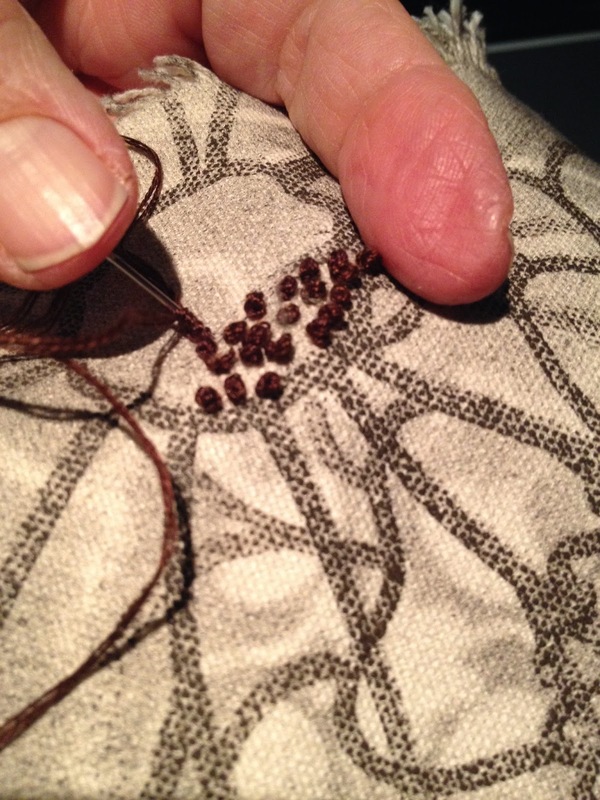 I travel with small stitch projects that I call ‘Sweet Little Somethings’. working on this during a long flight. 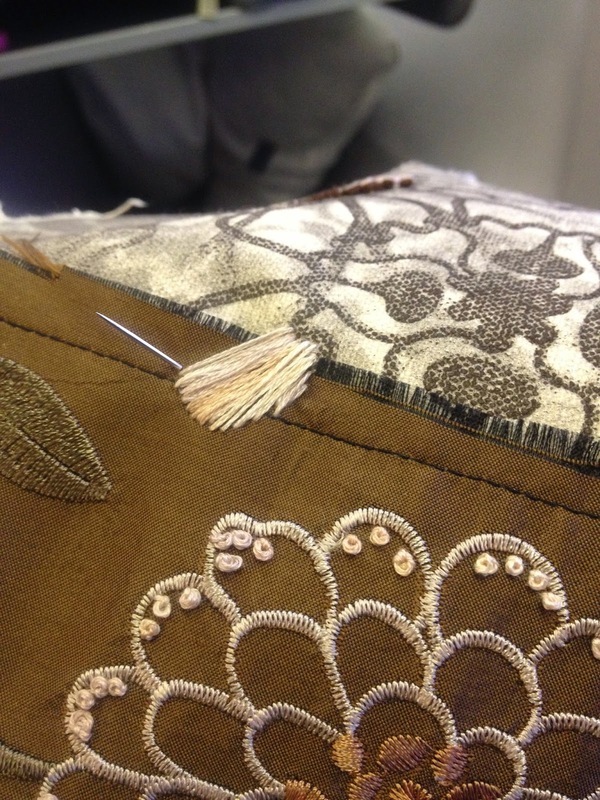 a combo of cloth bits, paper, and ephemera along with stitching. As you can see, they are a mixture of cloth and paper, nothing precious at all. 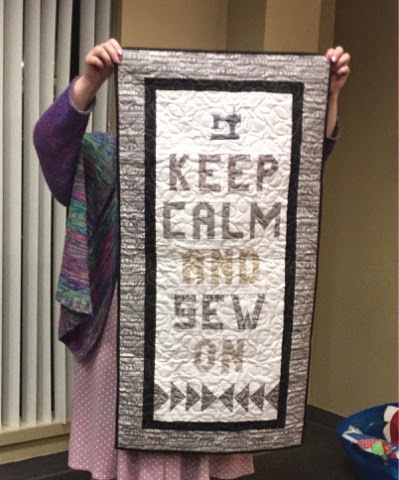 I bring this in a small Ziploc bag along with embroidery scissors, embroidery thread, and needles. It is another way to let the creative juice flow and work with intent. Will these little somethings become a big something? I don’t know and frankly do not care. It is the process, not the product, that I am interested in. 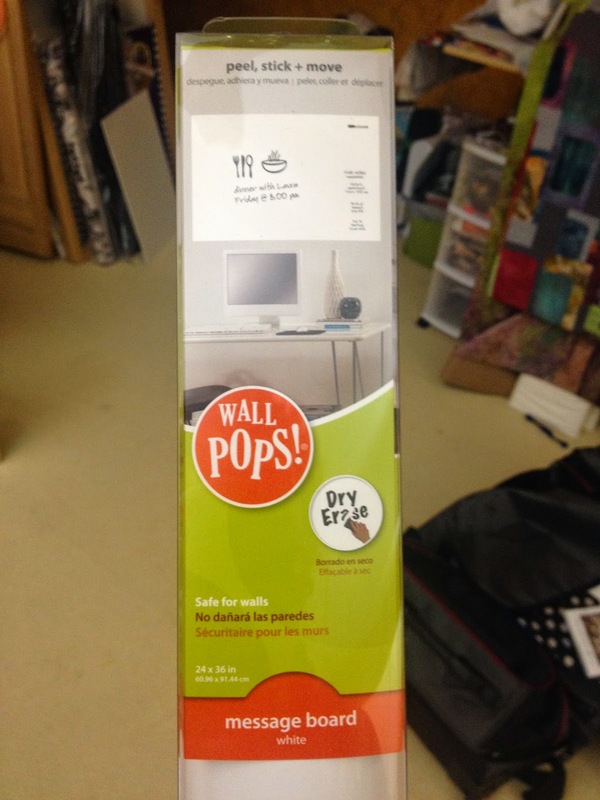 Take a bit of time to reorganize your studio workspace. Perhaps you don’t need to do this because you are not as much a work-slob as I am, but wow, I really make a mess when I work. I can fill the surface of any work table, no matter how big, until I am left with a space about 8x10 inches. Yikes! That is all fine, but I need to clear it off and put things away so I am ready to come back in and get going. 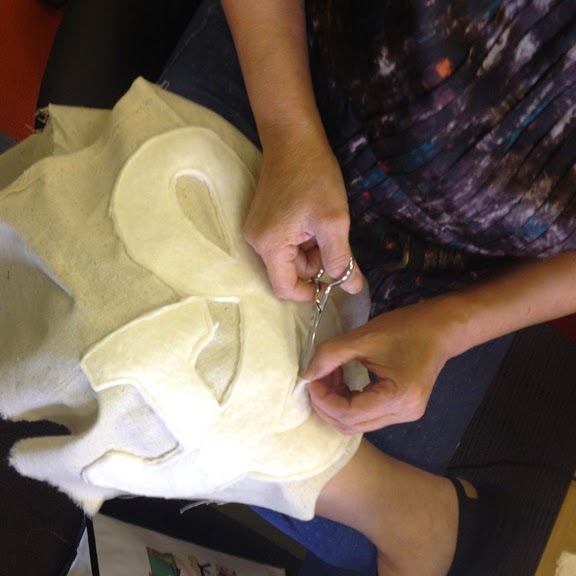 Have you ever avoided your studio because it felt overwhelming to go in? Well, I have. I save myself so much time if I take a bit off the end of my work to straighten things up. I use less time looking for stuff. I WANT to go in there and work because it is ready and waiting for me. Finally, create some sort of starting ritual for yourself before you engage in your work. Silly? Maybe. But it works for me. I have a couple of things I do. First, I have something I say to myself every single time I walk down the hallway to my studio. Second, I often light a candle for the duration of when I am in the studio working, because that time feels (and is) sacred to me. If I am feeling a bit stuck, I have several activities that I choose from to loosen up. For me, drawing and printing on watercolor postcards, sale tags, etc., get my juices flowing. I side-step from this over to the big project at hand. I find that doing a parallel activity allows my brain to relax and ideas to bubble up. I consider this a form of mental calisthenics. I won’t pretend to have all the answers to this challenging problem. As stated earlier: I continue to struggle with time-management myself. I would love to read some of your ideas and solutions. If you are a young parent: take heart. You are a young parent for a finite part of your life. 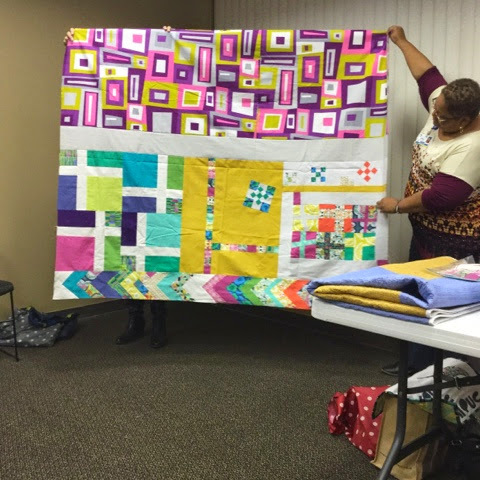 Find some smaller, more attainable projects to satisfy your creative urge and know that there will be time out there in your future. I promise! Carve some time for yourself whenever possible. I firmly believe this is not only good for you, but also good for your loved ones as it keeps you energized. The San Antonio Modern Quilt Guild recently hosted a Texty Trapunto workshop! It was taught by me, Jen. 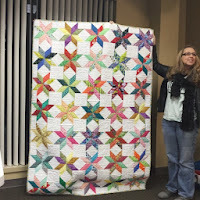 I'm the owner of ReannaLily Designs Sewing & Quilting Pattern Company and an advertising sponsor of the SAMQG. 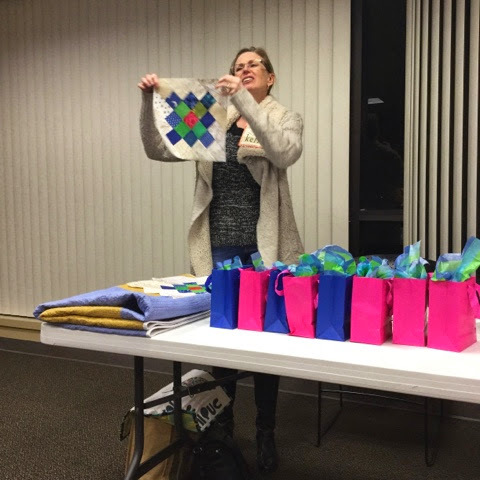 Big thanks to Danielle who is the Workshops Committee chair. 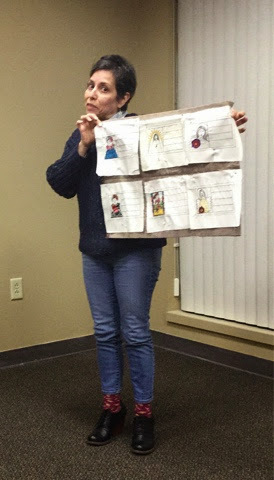 She organized the class location, registration and, in this case, the re-schedule date due to weather. 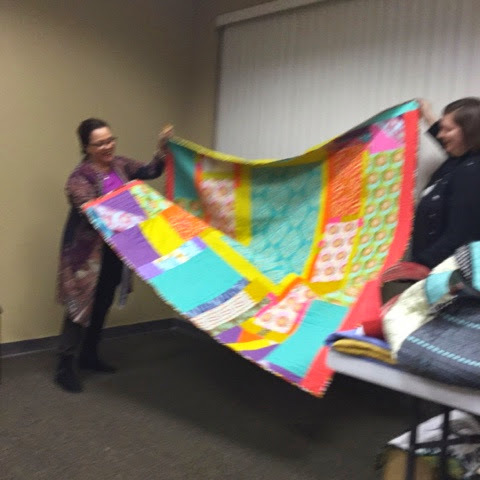 The class was held at Sew It Fabulous in Boerne, TX, in January 2015. 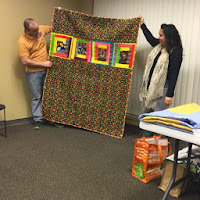 If you missed the class, the shop owner, Tish, is having me out to teach it again on February 28th, 2015. Contact the shop for more details. We had a total of 14 students. 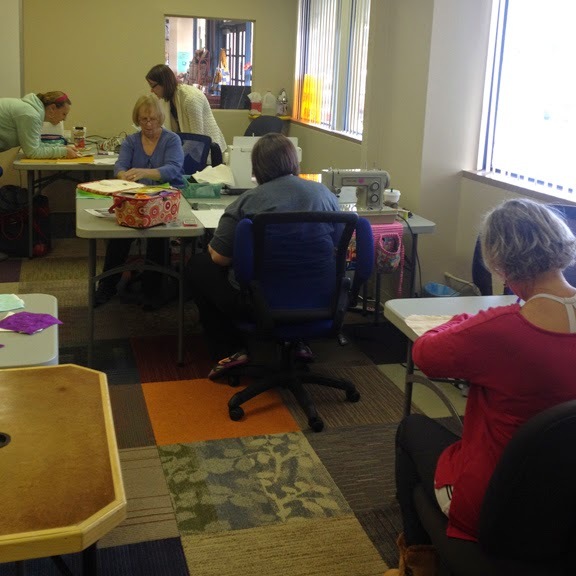 Sew It Fabulous was so nice to host us and let us keep a tab as we shopped & stitched. The Trapunto method was going along very smoothly. 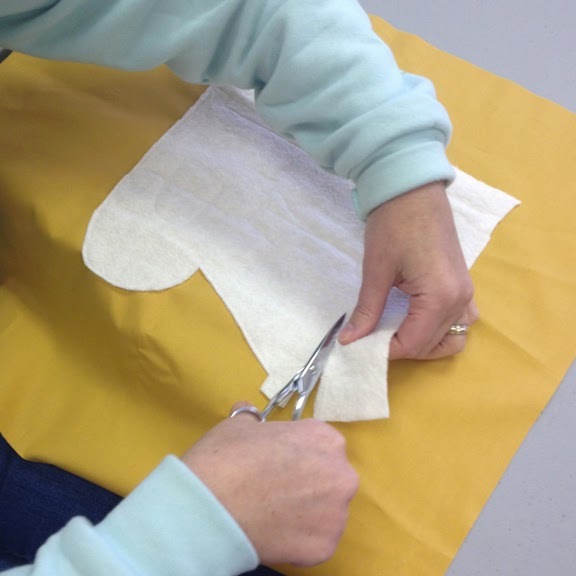 Cutting and cutting. Prepping and prepping. 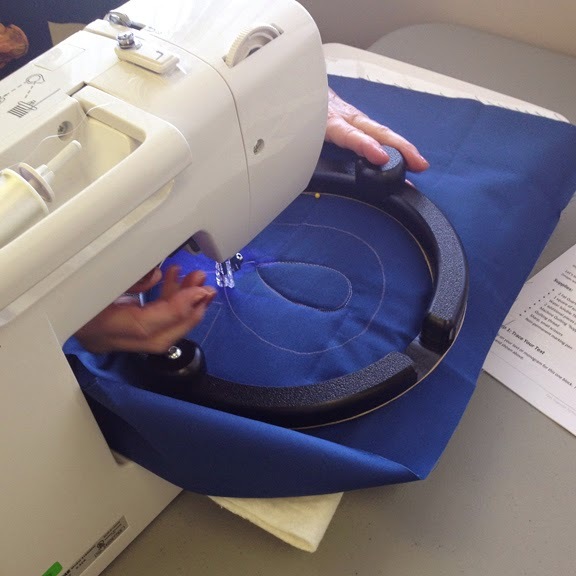 Then we got into the stitching. 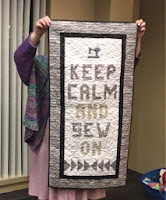 Stitching and Stitching and free motion quilting and quilting. 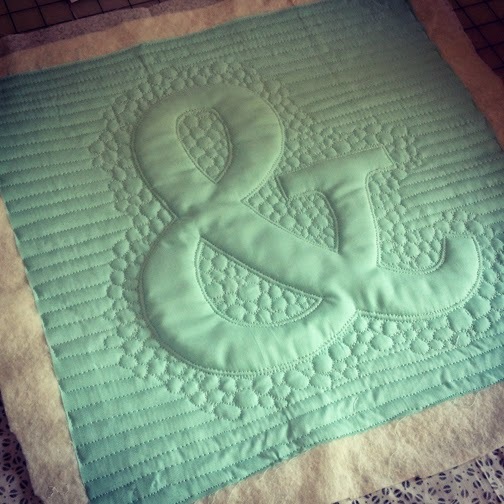 We had ladies use the Ampersand stencil. 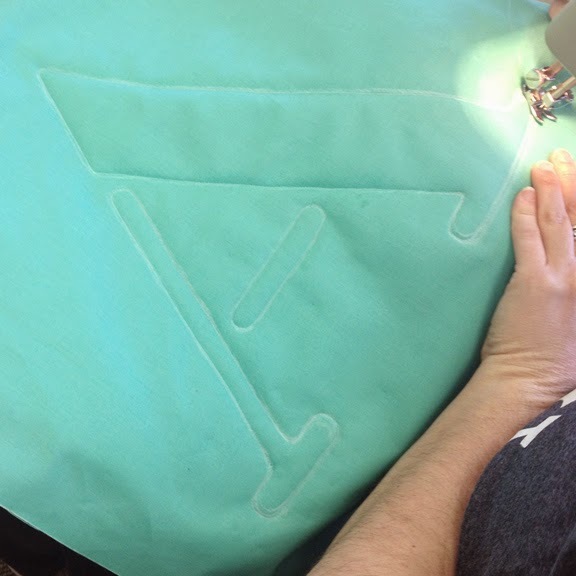 We had ladies bring their own chubby fonts for tracing and we had one industrious stitcher draft her own letter. It was quite an assortment of projects. 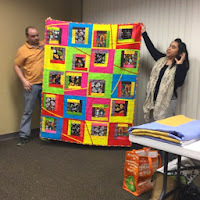 The class even saw a few folks finish the whole trapunto, raised-text block. 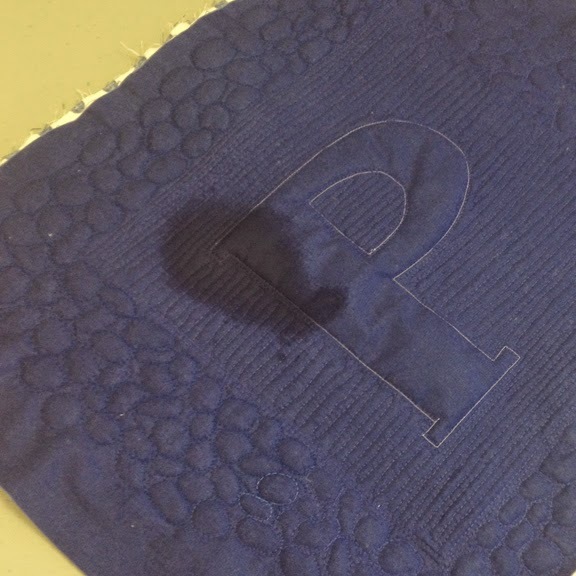 The last step is to dissolve the water soluble thread. 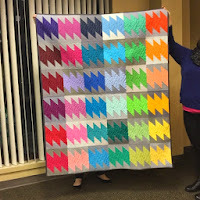 I hope to see the blocks at the next quilt meeting. You guys did an amazing job! 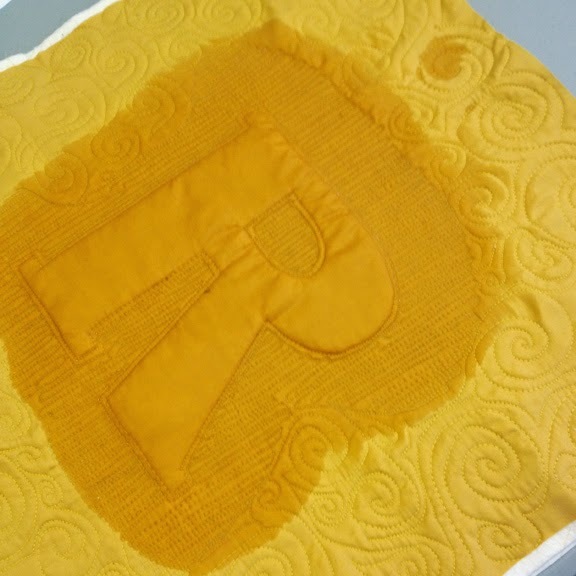 And now, just think of all the fun quilted projects where you can add shapes and letters. Thanks again for letting me share the Texty Trapunto technique. Every meeting is like a mini quilt show. For many, it's their favorite part. For some, it's the only reason they are there. For me, it is motivational and inspirational. Whatever it is for you, here is what you missed if you couldn't join us. These quilts look even better in person. 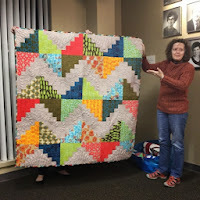 If you'd like a monthly mini quilt show and want to have fun with a bunch of awesome quilters. 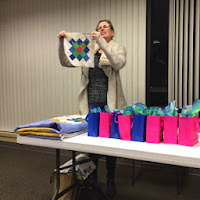 Join our guild and come to the next meeting. We'd love to have you. 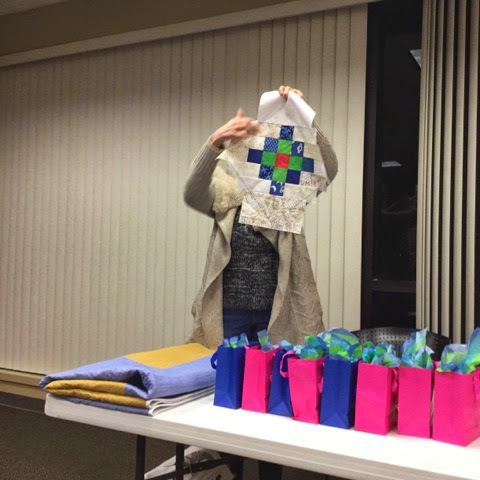 If you're already part of the guild but couldn't make the meeting, sorry you missed it. Enjoy the pics. 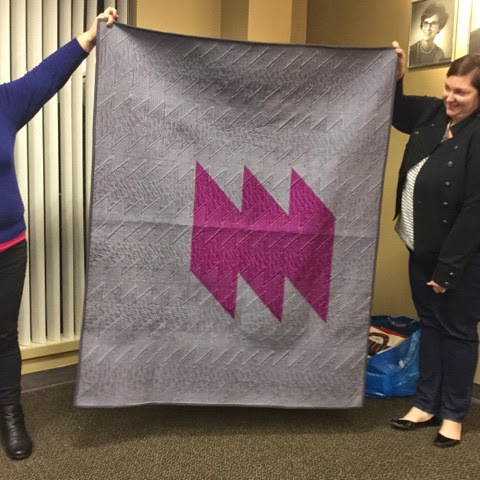 January - We installed our new officers, celebrated our 5th anniversary, completed our first mini swap, selected the winner of the Road to Madrona quilt, got to see the travelling quilts, took a peak at the Habitat for Humanity quilt, and received the president's challenge. 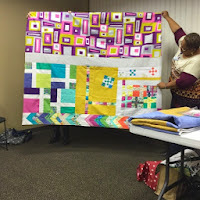 There will be a "Texty Trapunto" workshop from Jen Eskridge this month too. 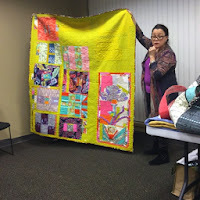 And the Journey to Inspired Art Quilting will be making modern trees at their bee. 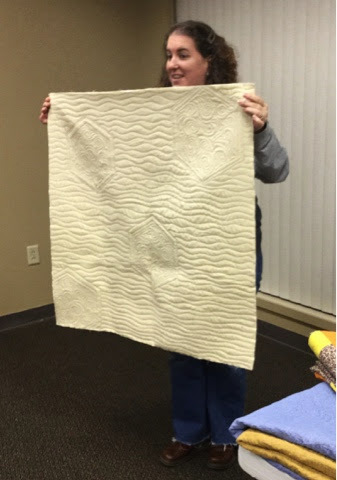 March - This meeting will be a QUILTCON de-brief. 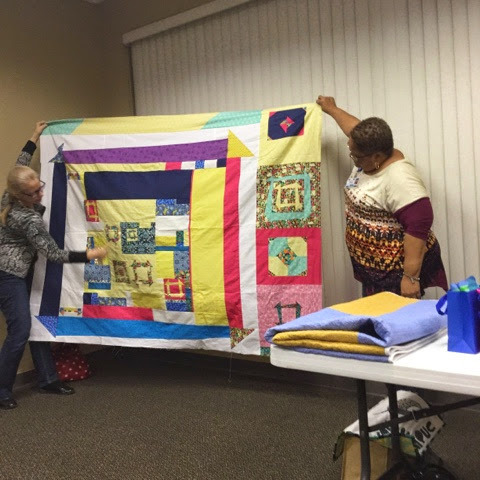 We'll all share with each other what we saw and learned and talk about how those quilts inspired us. 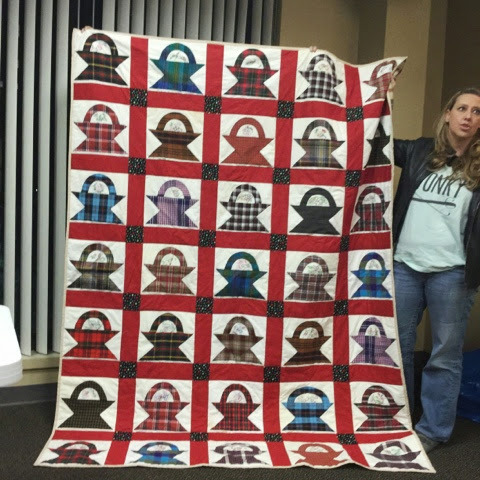 Hopefully we'll get a chance to see those quilts made by our fellow members that did and didn't make it to the show. 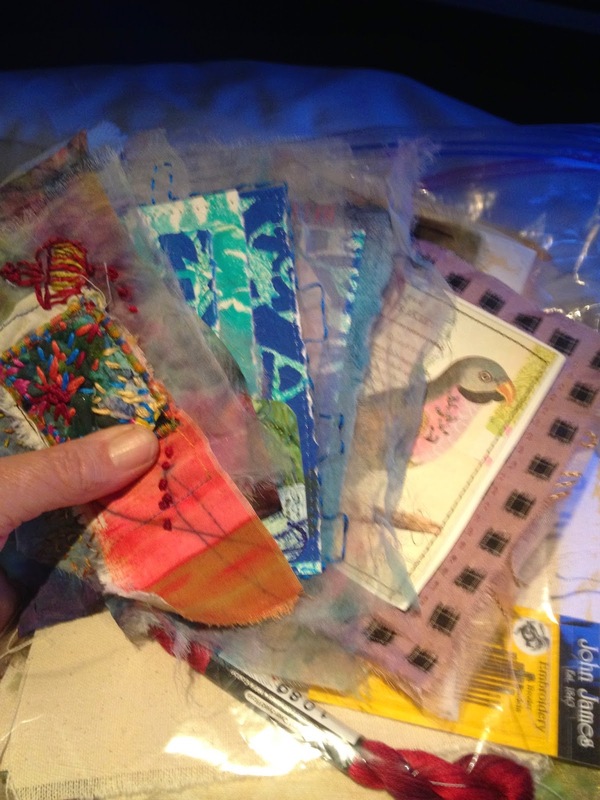 And the Journey to Inspired Art Quilting Bee will be focused on fabric painting with inktense pens. 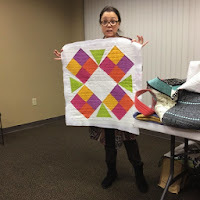 April - Allison will be providing a presentation at the meeting called "Show us your solids." 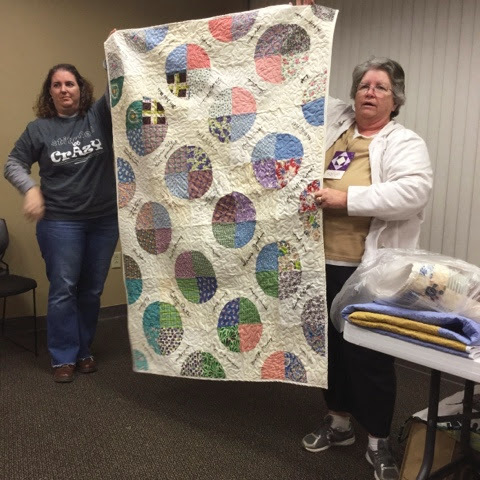 The guild retreat will be this month from Friday at noon on April 18 through Sunday at 3 p.m. on April 20. 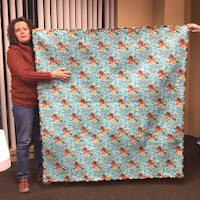 Some might use this to work on their president's challenge quilt. 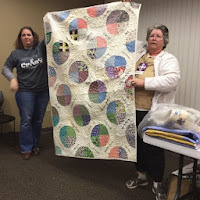 And the Journey to Inspired Art Quilting Bee will be working on embellishing designs printed on fabric. May - The annual Modern Mercado will be held in May once again. 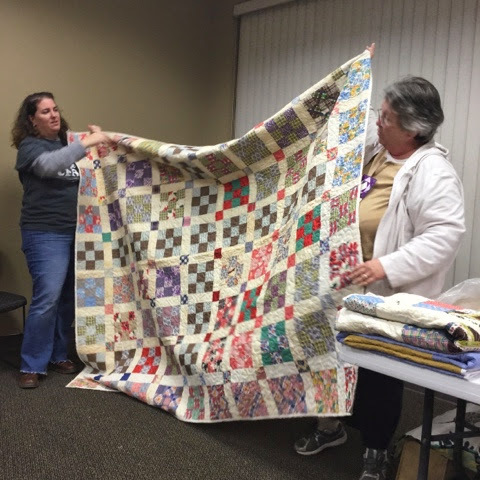 Guild members will be able to rent tables for $10 each and set up a cross between a flea market and farmer's market to sell extra fabric, notions, patterns, books and magazine. Consider this a great recycling time. 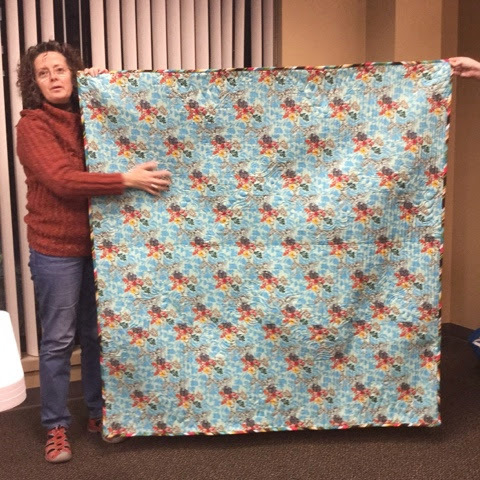 Recycle what you're done with and get a little cash to put back into the economy and buy new supplies and inspiration to get creative with this year. And the Journey to Inspired Art Quilting Bee will be learning Hawaiian quilt techniques. June - Round Robin demo days will be held at this meeting. Come and learn from fellow guild members all their secrets to great free motion quilting. 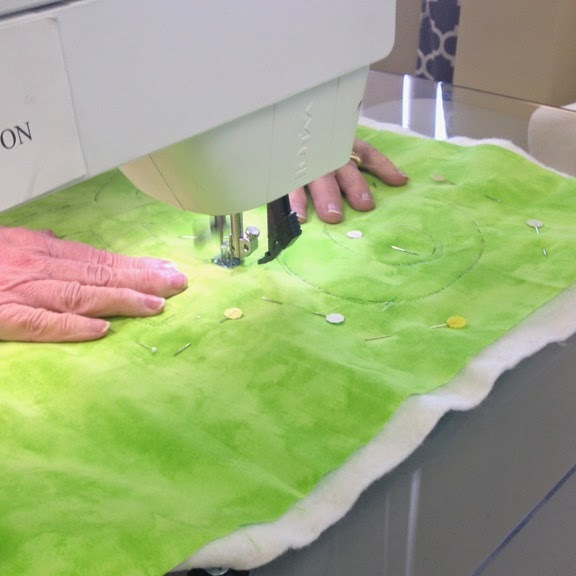 We have some experts in the guild and you'll be able to rotate through at least four demonstrations and pick their brains to improve your skills. Well, that's the first half of the year and hopefully enough to help see what a great deal you're getting by being a member of this guild, though recognize things are always subject to change. 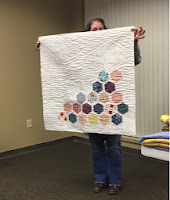 And there will most likely be Scrappy Bee get togethers and other workshops not yet finalized. But in case you are still questioning the increase in dues, we'll also be having Anna Maria Horner and possibly Latifah Saafir visiting the guild and sharing their knowledge during the second half of 2015. 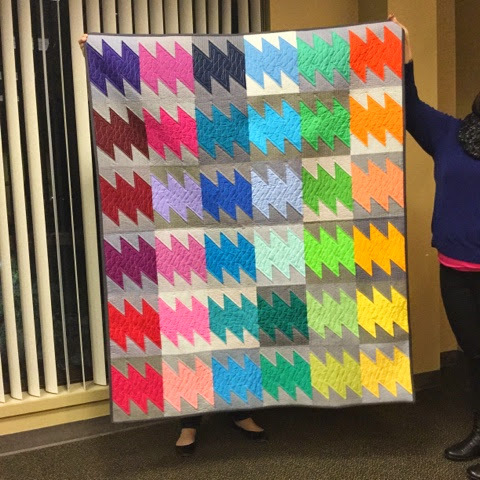 In September we'll be taking nominations for officers for 2016 and that's the month our president's challenge quilts are due. In October we'll be voting on those new officers and approving the budget for 2016. And of course December will be our annual Christmas party. 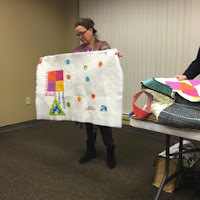 And I'm sure there will be lots of great workshops, charity sew ins, bee sew togethers and imagination will flow freely. Hope you'll join us for the whole year. Much creativity will be seen in 2015!!! 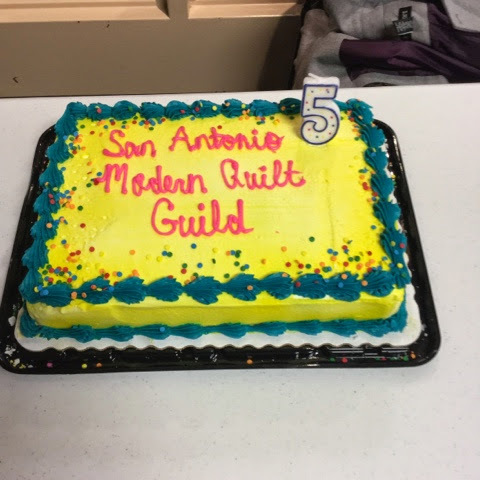 If you weren't at the January 2015 meeting of the San Antonio Modern Quilt Guild, you missed a lot. 1) Reveal of the SAMQG ultimate mini quilt swap. I'll post pics in another blog post soon. 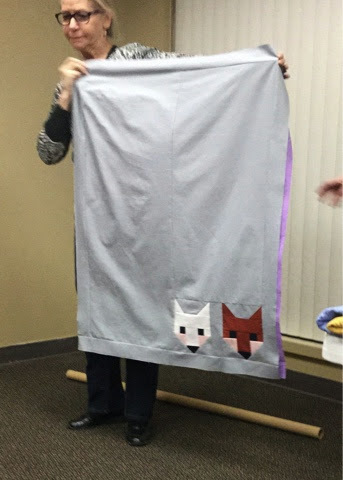 2) Reveal of the Traveling charity quilts (3 of 4). 3) Info about all the beautiful charity quilts this generous group made in 2014. Learn more in another blog post coming soon. 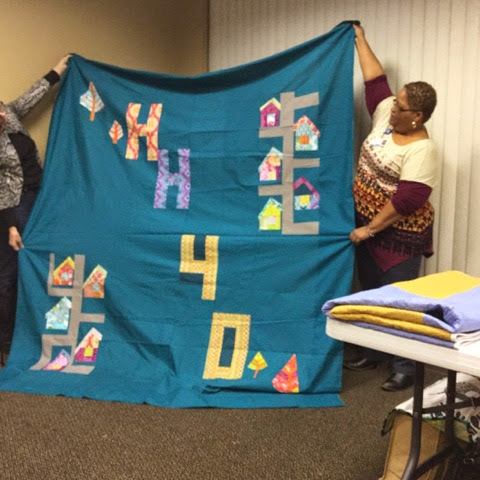 4) Reveal of the charity quilt made for the Habitat for Humanity 40th Anniversary using the MQG Charity Challenge fabric colors. 5) Info about what programs and workshops will be coming this year. 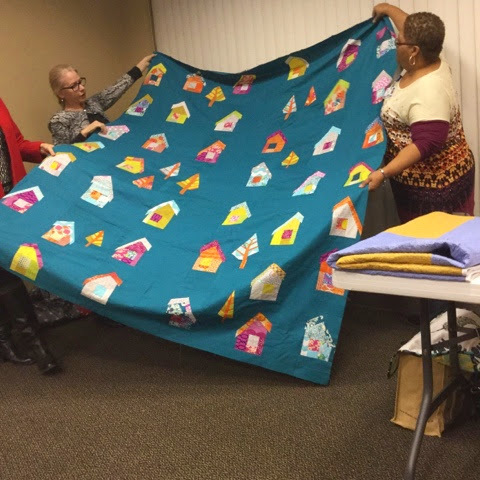 -- Next Journey to Art Quilting Bee is Jan. 17 at 10 a.m. at Landa Library. 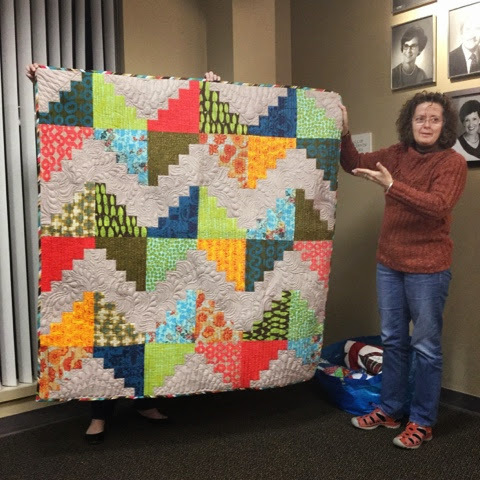 Sarah Jimenez will be demonstrating how to make the trees on the charity quilt above. 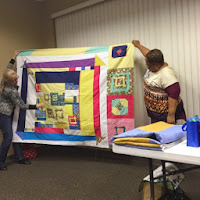 -- Next workshop (Scrappy Bits Applique by Shannon Brinkley) on Friday, Feb. 6. 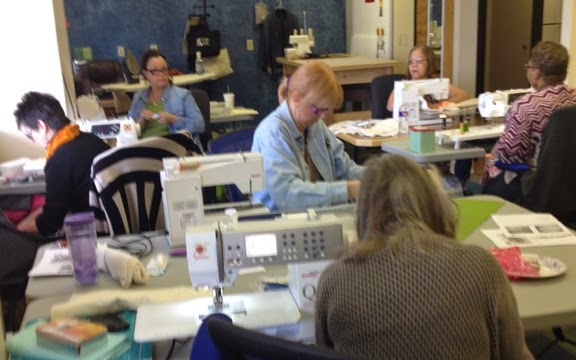 -- Next retreat is April 17-19 at the Main House near Creations in Kerrville. Watch the facebook site for more info on these events. 6) Installation of the new guild officers. 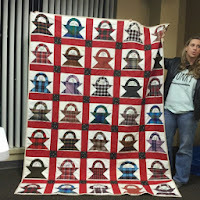 7) Instructions for the first block of the month for 2015 are on the Facebook group. 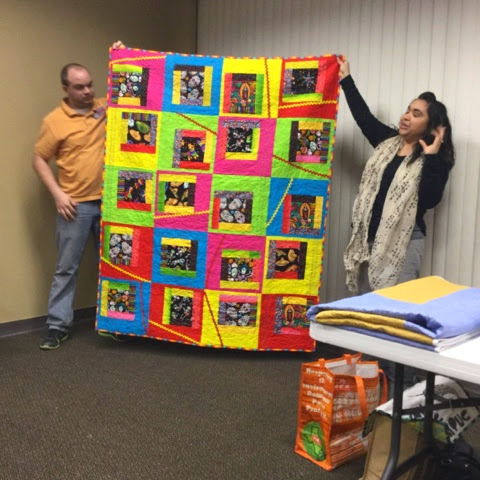 8) Preview of a QUILTCON quilt made by Sara Rodriguez with the help of other guild members. She won these from the Block of the Month in August. 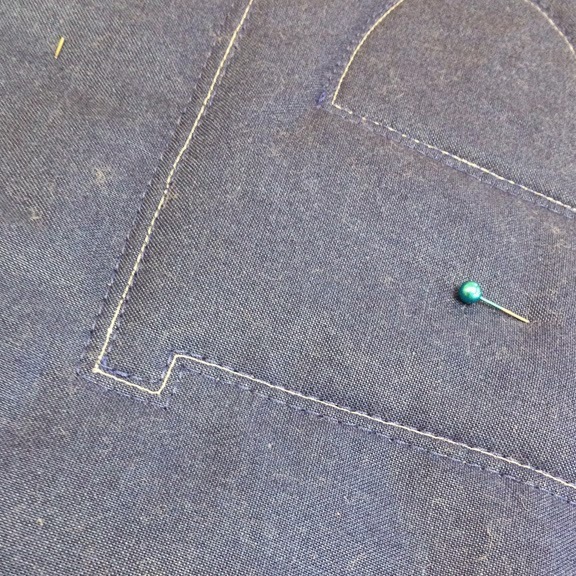 9) Another great sew n tell in a blog post coming soon. 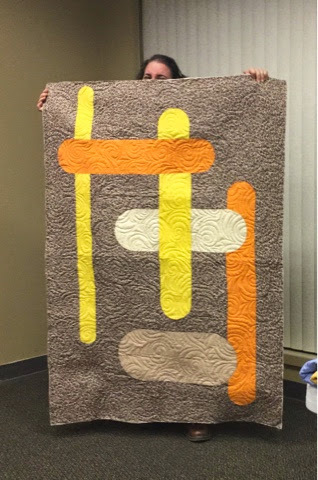 10) Your last chance and drawing of the Road to Madrona quilt -- won by Leslie Tucker Jennison. 12) Let them eat 5th anniversary celebration cake.